There's a reason why Courtesy Subaru is a premier new and used Subaru dealer serving Kingsport, Bristol, TN, Bristol, VA and Church Hill, TN, and that's because we provide our customers top quality Subaru at prices you can afford. Courtesy Subaru in Kingsport, Tennessee is your new and used Subaru dealer serving Bristol and Colonial Heights TN. The All-New 2019 3-row Subaru Ascent is now part of our Subaru lineup, come in for a Test Drive today! We have a team of knowledgeable staff who are ready to answer all your questions, and help you find a new 2018-2019 Subaru you will love. Have questions to ask first? Give us a call 888-610-0235. Use these directions to our dealership showroom. At Courtesy Subaru we strive to maintain a huge selection of used cars for sale near Bristol TN, Bristol VA and Church Hill, TN. You can purchase a used car in Kingsport at our dealership knowing that it has been through a detailed inspection by our auto technicians and will run like new for many years to come. If you are looking for used vehicles you can trust, choose Courtesy Subaru! If you can't find the car you're looking for, complete our CarFinder form and we will track down the used car you are interested in. Remember to check our our inventory of certified pre-owned cars as well as our inventory of used cars under $15K! If you're like most people, you might prefer a car loan with a low monthly payment, or perhaps you prefer a short-term loan that will have your vehicle paid off in just a few years. Or maybe you're worried about credit being an issue? Whatever your situation is, come to Courtesy Subaru and speak to one of our financial experts. Our team can create a car loan meets your needs, ensuring that you can to drive off our lot with a new 2018 Subaru that you can afford. Don't forget that at Courtesy Subaru we can also provide you with quality Subaru and car repair at our service and repair center near Bristol TN, Bristol VA and Church Hill TN. We provide car service in Kingsport done to factory specifications to ensure your vehicle is always performing at its best. We also keep a wide selection of original Subaru car parts in Kingsport for quick order fulfillment. If we don't have your auto part in stock we can get it fast. Visit our Kingsport auto service center today! The employees at Courtesy Subaru look forward to your visit. Give us a call or use our step by step directions to visit the Kingsport Subaru dealer with unbelievable deals and superior service, Courtesy Subaru. 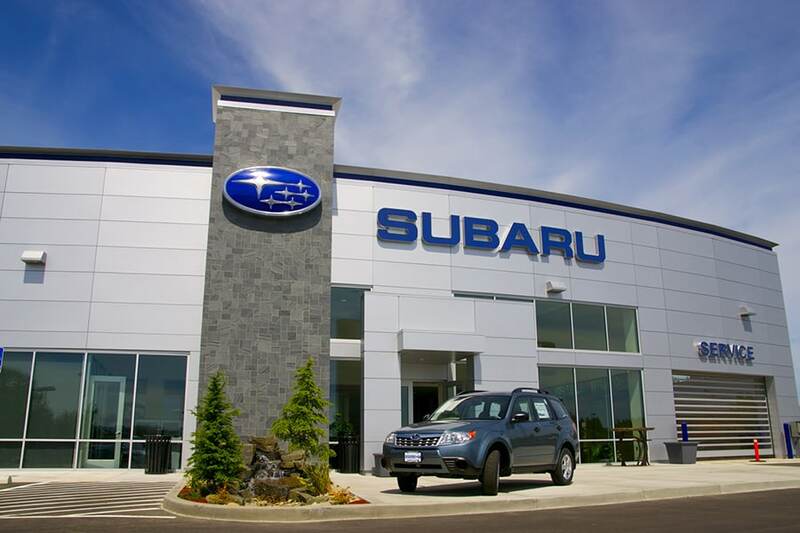 We look forward to serving you because at Courtesy Subaru, "It's not just our name-It's the way we do business!"